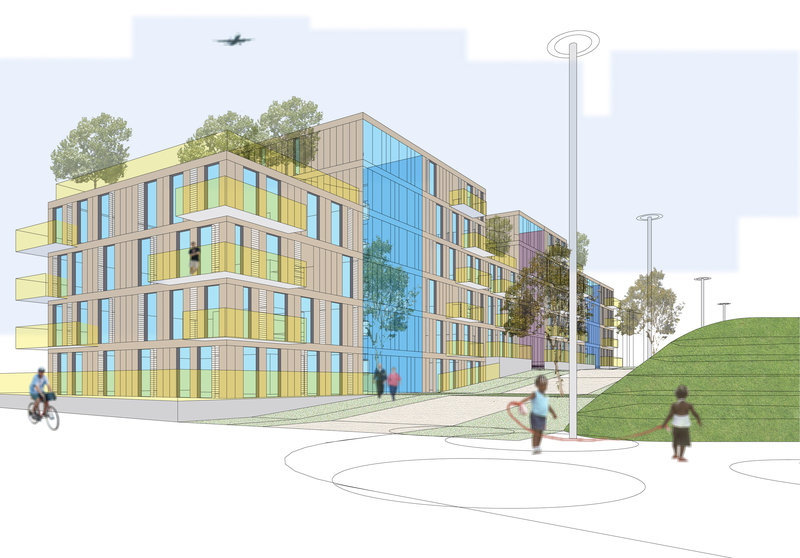 This was our entry for one of the London Europan 05 Competition sites. How do you connect public with private and semi private through the visual and physical linking of park, path, public and non-public zones? 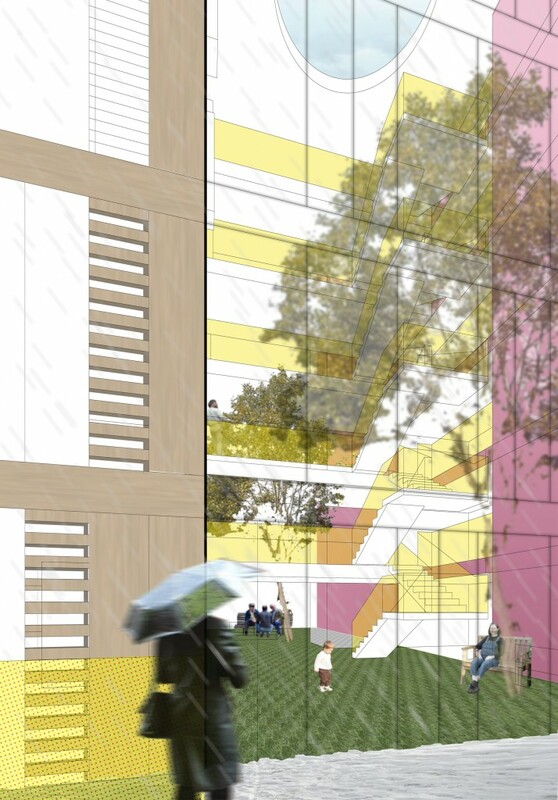 The Park is seen as a transition, merging into the buildings to create spaces that can be used all year round. The different zones are also intended to provide natural meeting places and play areas both intimate and public. The residential sub-blocks are organized so as to limit the number of units off semi-public circulation space. 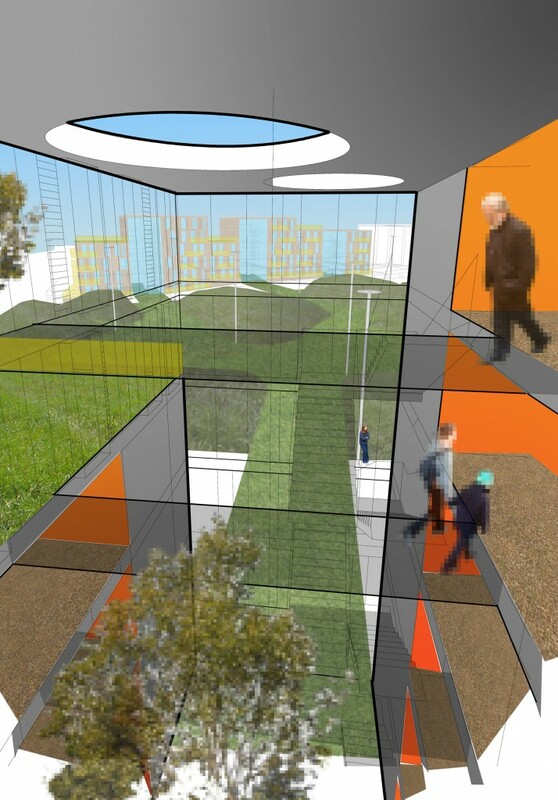 These circulation spaces are in turn seen as winter gardens / meeting spaces for the residents. 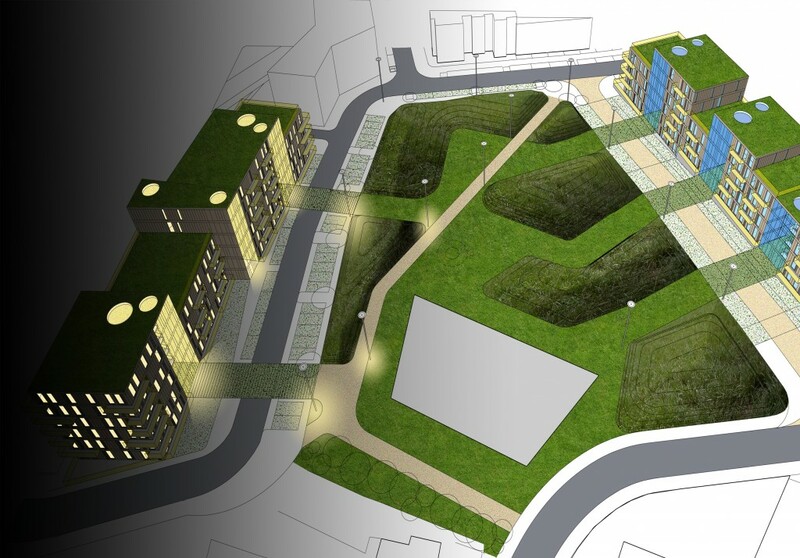 Roof gardens provide a mix of private gardens for individual flats and open amenity areas for residents.